Home » Dairy » Can dairy farmers have a ‘good lifestyle’? Can dairy farmers have a ‘good lifestyle’? Q Is there a charge/cost per litre for new entrants supplying milk to a Co-op? Co-ops have different approaches to accepting new milk post 2015. Some co-ops will take milk without an extra charge but will require suppliers to be shareholders in the co-op. Other co-ops will take a charge per litre, which may be a loan or put into a revolving fund (returned after a number of years). Again it is best to talk to the local co-op about their milk purchasing arrangements for new entrants. Q How many cows should I milk? This is the big question! It is different for all new entrants. Cows are needed to generate income for yourself (house and family), to generate income to make repayments (for set up costs) and in some situations to pay for labour. It is only an overall physical farm plan and financial plan for your farm that will answer this question. Q What are the factors that make dairy farms profitable? Profit is a combination of output and costs. High profit farms receive a high milk price ( high protein %, high fat % and quality bonus), have good output per cow (kg milk solids), have lower replacement rates and are more highly stocked on the milking platform. All costs are kept under control; the focus is on utilising grass to feed the cow. Q Should I buy calves, bulling heifers or calved cows? 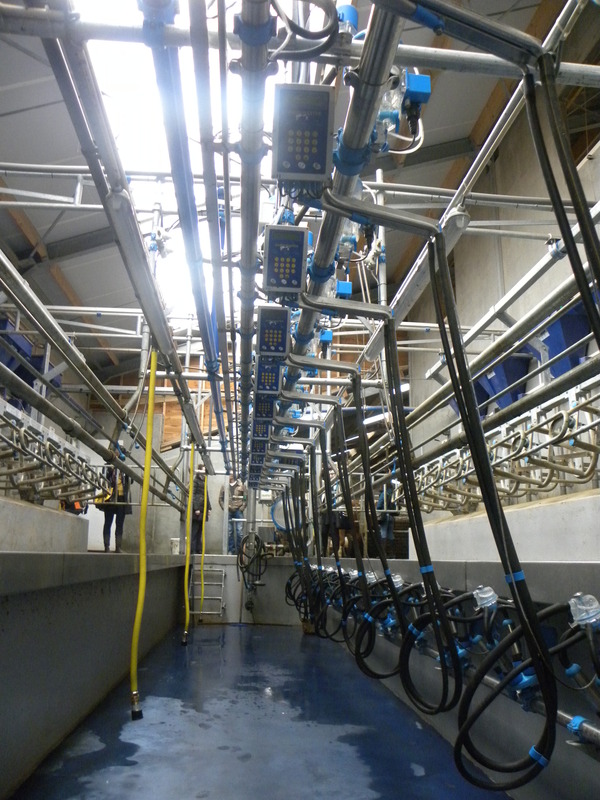 It will depend on availability and how quickly you want to commence milk production – the advantage of buying in calf heifers is that they are close to generating cash flow – the disadvantage is that they cost more to buy. Q What are the main breeding targets? 90% submission rate in the first three weeks of the breeding season, six week calving rate of 90% and empty rate of less than 10% for a 12 week breeding season. Q How much slurry storage is needed for a cow? 0.33 cubic metres required per week per cow where no rainfall is included. Q For 100 cows – how much land do I need? It depends on how much grass your farm can grow. A cow needs about 5 t of grass dry matter for grazing/ silage for a full year. • Farm growing 14 t grass – 36 ha required (stocking rate 2.75 LU/ha). Q Can dairy farmers have a ‘good lifestyle’? All jobs have down-sides in them. Dairy farming is no exception. But, it also has a lot going for it now thanks to research and farmer innovative approach. By comparison with other employments, dairy farmers can have very good family lives. Famers can have many more hours per day of contact with their children, being available to take and collect them from school, etc. Dairy farmers can have reasonable working hours – time management helps and they have a little freedom to come and go as the need arises. These may be funerals, emergencies etc. in the neighbourhood. Q How can I finance the start-up costs? Use your own assets (stock, cash) and in many situations a loan will be required. A full physical and financial six year plan will be required. Talk to your bank rep early on as where required, acquiring finance can take longer than expected. Q Who should I talk to? Talk to your local Teagasc dairy advisor and your local co-op. Talk to profitable dairy farmers who enjoy dairying as a lifestyle. Join a local dairy discussion group.